You must be a member of the Oxford Cinema Group to attend this activity. Would you like to join this group? Join us this month for a classic movie at The Ultimate Picture Palace. 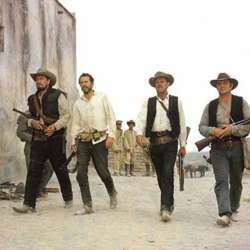 The Wild Bunch is a Protected content epic Western film directed by Sam Peckinpah about an aging outlaw gang on the Mexico–United States border trying to adapt to the changing modern world of Protected content . Drink and/or food at the Kazbar afterwards for whoever wants to join.